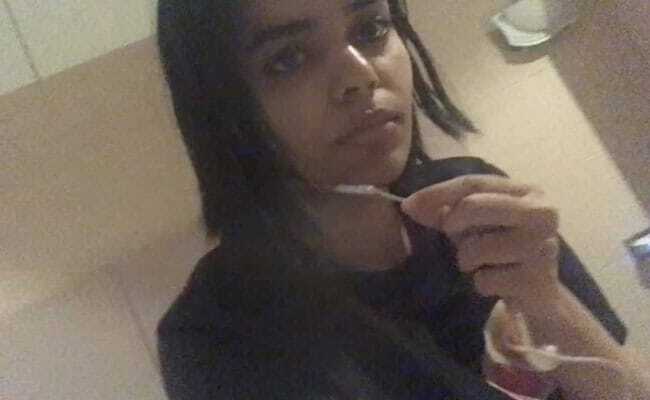 Rahaf Mohammed al-Qunun fled the ultra-conservative Saudi kingdom after she was allegedly subjected to physical and psychological abuse by her family. In one of the tweets from @rahaf84427714 she said she was in "real danger" if sent back to Saudi Arabia. When an 18 year old Saudi asylum seeker arrived in Bangkok she faced immediate deportation, but instead she is in the hands of the UN refugee agency, her social media savvy galvanising a global campaign that caught the Thai government flat-footed. But denied entry on arrival at Bangkok's main airport this weekend she took to Twitter with an account apparently created as a crisis response route and managed by her and supporters. In one of her first tweets from @rahaf84427714 she said she was in "real danger" if sent back to Saudi Arabia. She was held in an air side hotel room while Thai officials said they would put her on the next flight back. "I'm not going to open the door I want UN," one later tweet from her account said. "Shouting out for help of humanity," another read. For more than 24 hours she fed global media, rights campaigners and a concerned public a stream of dramatic videos and descriptions of her ordeal. Early on prominent journalist Mona Eltahaway picked up the thread, retweeting Qunun's story to her more than 300,000 followers. Soon there were more than half a million mentions of the #SaveRahaf hashtag or of Rahaf's account, according to Twitter. Within two days and some 80,000 followers later she was cheered out of the airport by a legion of online supporters. "We believe in the unmatched power of the individual's voice and aim to provide a platform where marginalised voices can be seen and heard," a Twitter spokesperson said in a statement. Thailand is not a signatory to a UN convention on refugees. Many asylum seekers are refused entry and quietly deported, while those who make it into Thailand can wait years to be resettled to third countries or find themselves in prolonged detention. But social media is emerging as a tool to shield asylum seekers from summary deportation. In November, Bahraini footballer Hakeem Alaraibi, who played for his national side before fleeing the Gulf State during the Arab Spring crackdown, was refused entry to Thailand where he was due to take a holiday with his wife. He was held based on a conviction back in Bahrain which he and rights groups said was false and threatened with return despite having refugee status and Australian travel documents. But then he took to Whatsapp, sharing photos inside airport detention rooms that made it into news outlets around the world. He was wanted on charges in Bahrain of damaging a police station but instead of being sent back immediately his case will now be heard by courts in Bangkok. Social media helps "spread the word" of these cases, human rights lawyer Nadthasiri Bergman who has worked on both the Alaraibi and Qunun cases told AFP, and is making authorities "more careful about their actions". Thai immigration chief Surachate Hakparn conceded that Twitter can "attract the interest of the global community" but denied authorities were swayed by Rahaf's social media barrage. But that did not stop Surachate himself from responding to the case on the platform, at one point writing on his official account that "we stand for humanity". Suki Chung, Asia-Pacific campaign coordinator for Amnesty International, said it was a rare win for social media, which has been battered for hosting hate speech. But she warned Rahaf's "story isn't over, and there are more stories like hers." With the UN examining her case, Rahaf is safe for now. But she is still using the platform to chivvy along public support. "You are the real power help me to send my message, I need PROTECTION," she tweeted Tuesday afternoon, adding the hashtag #savemylife.